The RNC will spend money on the 2010 Midterm elections……. They are announcing that they are going to work hard to get back at least on House of Congress…. The Republican National Committee (RNC) is going all in to win back control of the House and Senate. 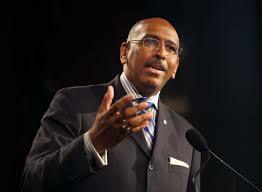 RNC spokesman Doug Heye said committee chairman Michael Steele is committed to using most, if not all, of its cash on hand in this year’s midterm elections. Four years ago, frustrated congressional Democrats had to go into prolonged negotiations with then-DNC Chairman Howard Dean to convince him to invest in the 2006 midterm elections. DNC subsequently spent all of its cash on hand that year, but significant sums went to Dean’s 50-state strategy. At the time, Democrats on Capitol Hill, including now-White House Chief of Staff Rahm Emanuel, questioned cash infusions to solidly red states. A key difference between Dean then and Steele now is that Steele’s term is up at the end of this cycle while Dean stayed on at the DNC during the 2008 presidential campaign. Like Dean, Steele is heading his party’s national committee with the opposing party in the White House. The RNC, which has attracted criticism this cycle for its spending habits, has $11.4 million cash on hand. Heye noted that the committee already spent $3 million on the New Jersey governor’s race and $9 million on the Virginia race. The RNC will be spending money on congressional, gubernatorial and local-level races this year. “Right now we are focused on 2010. We’re committed to large investments,” Heye said. Let’s face it…… BOTH Political Parties can spend money on themselves…….. Yesterday I did a post on Rubio and others in Florida spending….. This piece below in PoliticsDaily reminds us….. Both major US political parties aren’t shy about spending money on things other than campaigns….. The two major political parties spend significant time pestering donors to support their candidates, but it turns out a lot of the dollars are going to the care and feeding of the organizations’ staffs and prized donors — and also to efforts to raise even more money. The Republican National Committee, for instance, spent $340,000 in January for its semi-annual meeting near Waikiki in Hawaii, with at least 33 RNC staffers in attendance, as well as committee members (and presumably some contributors), according toHotlineoncall.nationaljournal.com, which pulled the information from Federal Election Commission reports. The figure includes rooms and office space for the party employees. The RNC’s counterpart, the Democratic National Committee, spent $60 million in the election cycle beginning January 2009 on administration and fundraising — in other words, money that did not go directly Democratic candidates. That number comes from the Washington Post , using an analysis done by the Center for Responsive Politics. For Republicans, over a comparable period, the amount for similar expenses exceeded $74 million. Let's face it…… BOTH Political Parties can spend money on themselves…….. I wrote about Obama and bashing Wall Street while having his fundraising hand out…..
How much money has Obama taken from Goldman Sachs? Should he return it? Bonus current thematic follow-up: What level of the dimensional chess is the move by Goldman Sachs to hire Obama‘s former personal White House counsel during the first year of his presidency? My my, what the revolving doors lead to nowadays. Rubio’s total doesn’t quite match Gov. Charlie Crist’s (R) $4.3 million effort in the second quarter of 2009 — his first quarter of fundraising when he was the presumptive nominee — but it does serve notice that the formerly popular governor’s days of being the financially superior GOP candidate are long past. Crist’s big entree into Floriday’s GOP Senate primary stacked up well against the $340,000 Rubio raised between April and June last year, but since then, the table have turned considerably. The world has stepped up to the plate to help this poor country…..Kudo’s to ex-presidents Bush and Clinton for their fundraising efforts……. The first thing that should be done is better building codes! The international community pledged $5.3 billion Wednesday for earthquake-shattered Haiti over the next two years, launching an ambitious effort not just to rebuild the hemisphere’s poorest nation but also to transform it into a modern state. The amount exceeded by more than $1 billion the goal set ahead of a conference co-sponsored by the United Nations and the U.S. government. In all, countries, development banks and nongovernmental groups pledged nearly $10 billion for Haiti in years to come. “This is the down payment Haiti needs for wholesale national renewal,” said U.N. Secretary General Ban Ki-Moon. He emphasized, however, that donors must deliver on the promises of cash, something they have sometimes been slow to do. Secretary of State Hillary Rodham Clinton noted that nearly 50 countries made pledges, twice as many as contributed to rebuilding the area hit by the 2004 tsunami in South Asia. She announced $1.15 billion in U.S. funds for the nation-building effort in Haiti. The reconstruction plan calls for building ports and hundreds of miles of new roads, resurrecting Haiti’s withered agricultural sector, relocating people from the crowded capital and establishing an efficient bureaucracy in a country that never had one. Daniel…..The Senate 2010: NRSC outraises DSCC in February…..
POLITICO reports the National Republican Senatorial Campaign Cmt. (NRSC) has outraised their Democrat Counterpart DSCC (Democratic Senatorial Campaign Cmt.) in February. The Republicans slowly closing the Money Gap. Democrats only lead by 2,5 $ in that committees. Personally I think they BOTH sitting on the Fence waiting what’s going to happen with Health Care. IF it passes I rate the likelihood for Thompson to nearly 80 % and to Rossi’s at 60 %. 2009 Donor list for the William Jefferson Clinton Foundation…….. The list is long….and is of all the donors who have given more than $1,000………. Here’s the link for the entire list……..
Ok…I did this post before…but the text was screwed up……it did go out on twitter…but here’s the link, with a better presentation…..
Former Republican presidential candidate Mitt Romney said on Friday he was "sickened" by the dishonesty of U.S. President Donald Trump and people around him as portrayed in a report on Russia's attempts to influence the 2016 election.